The conflict in Syria has left many families destitute, without the means to sustain themselves. 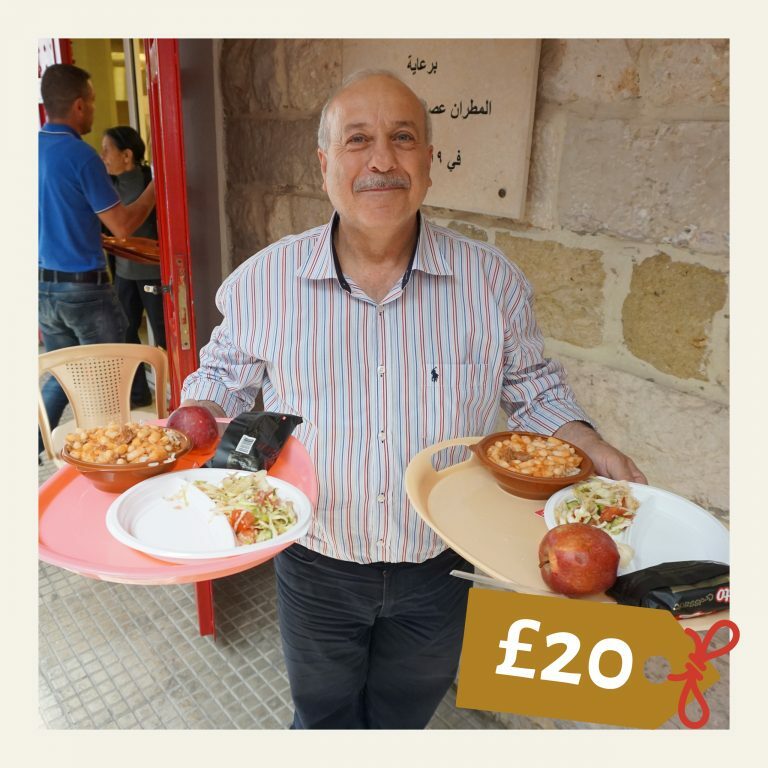 In response to this, ACN supports the St John the Merciful Table, a relief kitchen run by the Melkite Greek Catholic Church in Zahlé, near the Syrian border. It has become a place where refugee Christians can gather, not only to eat, but also to talk with other people and share the warm love of Jesus Christ our Saviour. The relief kitchen provides hot meals for nearly 1,000 people who cannot afford a daily meal – including the poor, children, the elderly and those who are housebound. One refugee, Norma, who eats there, calls it, “a restaurant of love”. Your generous gift can provide the next hot meal for a needy family in any of our relief kitchens in the Middle East.